Bahama Breeze is an American restaurant chain specializing in Caribbean-inspired menu items such as steaks, chicken, seafood and tropical drinks. Each Bahama Breeze location offers guests a vibrant island atmosphere that is designed to transport them to a sandy beach island. The menu features unique flavors and ingredients. Ingredients like Conch and ceviche are treated with flavors such as jerk seasoning and sofrito marinades. The prices of entrees range from nine to sixteen dollars. If you’re looking to get away, without leaving your neighborhood, try “the Breeze”! Below are the latest Bahama Breeze menu with prices. What are Bahama Breeze Prices? The restaurant is run on a mid-range price concept making it affordable for most budgets. The cost of most entrées is below $14.00 with some as low as $9.00. Are there Vegan or Vegetarian Menu Options? While the restaurant caters to carnivores there are a few dishes that meet the requirements of vegetarian diners. The menu features dishes like veggie quesadillas, a variety of salads are available and side dishes such as edamame and black beans are available. In addition, we spoke with a company representative who said that diners with dietary restrictions should inform the restaurant staff who will work with you to customize menu items by omitting ingredients such as meat, cheese, and other animal products. Bahama Breeze believes in making it easy for guests to make proper food choices based on the lifestyle they lead. Bahama Breeze offers a printable guide of their menu items which included calorific and nutritional information. The nutrition guide can be downloaded via the official Bahama Breeze website. When is Bahama Breeze Happy Hour? Whether it has been a stressful workday or long work week, Bahama Breeze is the best place to meet for drinks and appetizers. The island-inspired drinks and appetizers will take you on a mini vacation for a few hours. Be sure to enjoy their handcrafted Caribbean cocktails and half-price appetizers. Hours are Monday-Friday 4:00 pm – 6:00 pm. Late night Happy Hour: Sunday-Thursday 9:00 pm – 10:00 pm. Some Bahama Breeze locations accept reservations. Guests can reserve a table and time online using their online reservation tool. All Bahama Breeze locations offer a Call Ahead Seating feature that reduces your wait time once you arrive. The best Caribbean getaway that is close to home. Guests can give Bahama Breeze gift cards to family and friends. Guests can purchase traditional gift cards and have them delivered via postal service or guests can send an electronic gift card which is sent to recipient’s email inbox instantly after purchase. The best solution to a stress-free social gathering is to have it at the Caribbean-inspired Bahama Breeze restaurant. Guests can choose from a variety of options including private or semi-private rooms, table service or appetizer reception. Guests should contact their local Bahama Breeze location or visit the website to get all the details. Each Bahama Breeze location offers a great selection of live music line-up. Guests will be treated to reggae, Caribbean, or contemporary selections. To find out what the musical line-up will be, guests can select their location on the Bahama Breeze website to get all the details. Guests can join the exclusive Island Insider E-Club to get the latest news on menu and beverage additions, invitations to members-only events, participation in contests, special meal offers, and recipes. Signing up is simple and free. Guests can visit the official Bahama Breeze website to join. Working at Bahama Breeze is like taking a vacation to the islands. Bahama Breeze is always looking for warm, inviting individuals to join their team. Interested candidates must be friendly and outgoing and enjoy providing guests with a unique island experience. Candidates should visit the Career page on the official Bahama Breeze website to learn more about the concept, the culture, and the list of current hourly and management opportunities. Bahama Breeze and Darden Restaurants Inc. are committed to a culture of giving back to the local community and developing a culture of caring about people. Through The Darden Foundation, charitable organizations across the U.S. receive support plus all Darden Restaurant employees are encouraged to volunteer their time to causes they believe in. Bahama Breeze was developed by Darden Restaurants Inc. and opened its first location in 1996 in Orlando, Florida. 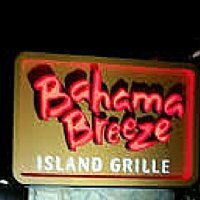 Today, there are 40 Bahama Breeze locations in the U.S., mainly in suburban malls and tourist areas. Bahama Breeze is a wholly owned subsidiary of Darden Restaurants Inc., a publicly traded company headquartered in Orlando, Florida. Guests can follow or connect with Bahama Breeze through various social media platforms. For more of Caribbean food and drinks and a paradise-like experience, visit the official website of Bahama Breeze.